Suzuki have unveiled a sub-47bhp version of their GSX-S750 middleweight naked, designed to be legal for riders who possess an A2 licence. Although details are limited, the restriction reduces power from a claimed 112bhp thank to a re-programmed ECU that acts with the ignition and throttle settings to deliver legal power throughout the rev range. It will go up against rivals such as Triumph’s Street Triple and Kawasaki’s Z900, both of which are available in 47bhp guise. 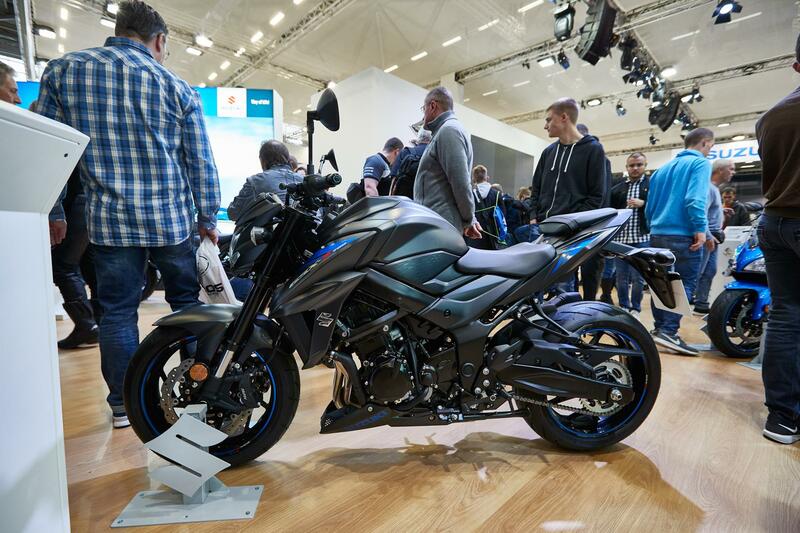 You can see most Intermot bikes debut in the UK at Motorcycle Live from 17-25 November at The NEC. 2017 Triumph Street Triple first ride incoming!